MSC - Medical Facility - HVAC Diagnostics & Preventative Maintenance. MSC was contacted by our client to perform a detailed diagnostic inspection on the HVAC and control system for their operating room. 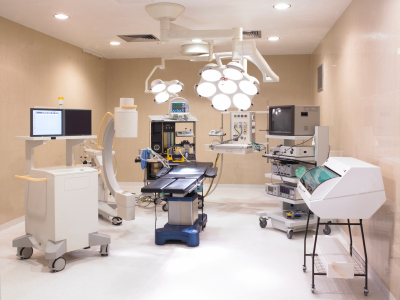 The reported problems were slow space pull-down between surgeries involving different surgical teams with different space requirements, and poor space temperature control. Our assignment was to determine what (if anything) was wrong and to identify what could be done to improve performance. We set up our test equipment and observed this system operate while we recorded several sets of readings and measured both air and water flows. During these tests the chilled water 3-way valve was manually opened to allow full flow through the coil. During our day of testing, the DX condensing unit ran 100% of the time loading and unloading except when turned off by us for testing. Room temperature control was left under automatic cooling since surgery was in progress. Through the course of the day, we observed varying degrees of reheat across the DX cooling coil. At one point (when not taking a formal set of readings) we observed 54 leaving the air handler and 70.2 leaving the DX coil (16.2 pickup) before the reheat coil. Over all it was determined that the equipment was of adequate size and configuration to provide very low supply air temperatures to the space. Low and steady supply air temperature will result in quicker space pull down times between surgeries and more stable conditions during surgery. 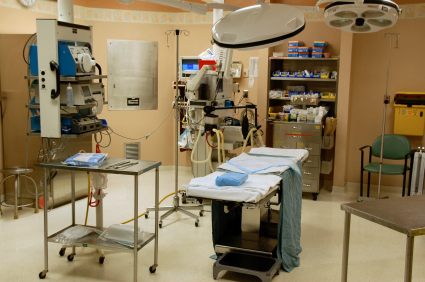 MSC collected all of the performance data from the system, and required space conditions from our client and provided detailed recommendations to have the OR operate as the client needs.